Stu Shepard is a fast talking and wise cracking New York City publicist who thinks he has the whole world in his hands. 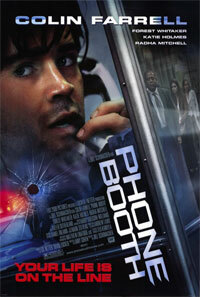 Every day he uses the same phone booth to call the woman he is cheating on his wife with. But on the last day, before this particular phone booth is demolished, the phone rings. Stu naturally answers the phone, only to find the caller on the end is an invisible sniper who knows everything on Stu, including his relationships. The caller now has Stu as his hostage, who demands he comes clean with his wife. otsoNY Comments: Although this film is based in New York City, there are a few minutes of the film that were actually shot in New York City. 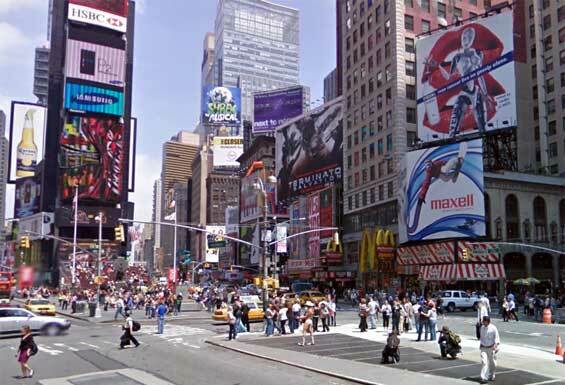 The phone booth where Stu Shepard is pinned down by an unseen sniper, is supposed to be at 53rd Street and 8th Avenue. However, these scenes were all shot in downtown Los Angeles on West 5th Street at South Spring Street opposite the Alexandria Hotel. eorge Michael Cohan (pronounced "Coe-han") (July 3, 1878–November 5, 1942), known professionally as George M. Cohan, was an American entertainer, playwright, composer, lyricist, actor, singer, dancer and producer. Known as "the man who owned Broadway" in the decade before World War I, he is considered the father of American musical comedy. A full-length dramatic musical entitled "George M" that depicted his life and which celebrated his music was produced on Broadway in 1968. On July 3, 2009, a bronze bust of Cohan was unveiled at the corner of Wickenden and Governor Streets in the Fox Point neighborhood in Providence, a few blocks from where the cold-water flat he was born in once stood. The inscription under the sculpture, by artist Robert Shure, reads (in part): "Son of Providence/Father of the Broadway Musical Comedy". 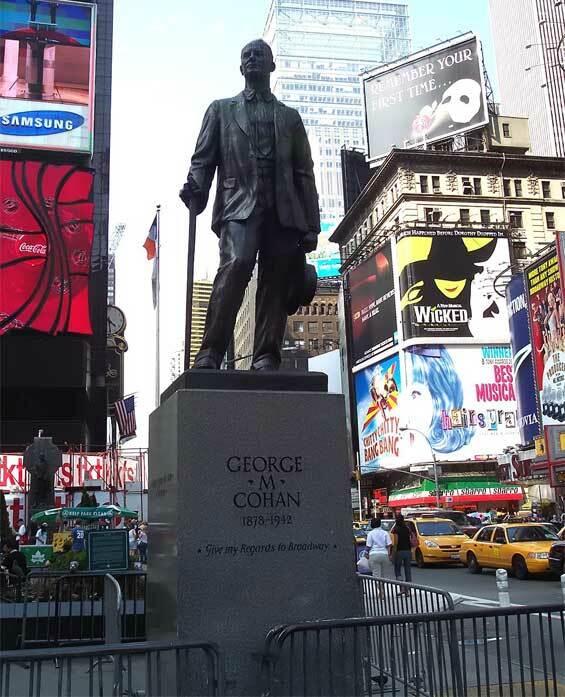 The city renamed the corner the George M. Cohan Plaza. The unveiling ceremony also included the presentation of a planned annual George M. Cohan Award for Excellence in Art & Culture. The first award went to Curt Columbus, the artistic director of Trinity Repertory Company, a Tony award-winning theater group which performs in the former Majestic Theater building in Providence where Cohan once performed with his family.